Rising 1,800 feet above the sprawl of metro Atlanta, the landmark twin humps of Kennesaw Mountain were once ground zero for some of the worst fighting of the Civil War. In spring 1864, 63,000 Confederates under the command of General Joseph Johnson dug into the heavily fortified mountain and, in a battle that claimed 4,000 lives, temporarily stalled General William T. Sherman's advance on Atlanta. 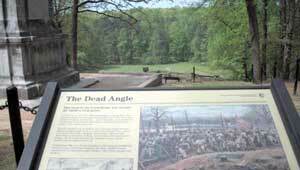 Much of this hallowed ground became the 2,888-acre Kennesaw Mountain National Battlefield Park. But inside the park sat an island of private property: the 34-acre Hensley family land, which includes fields, forests, a lake, and remnant Union fortifications. In 2008, we acquired the Hensley property as an addition to the National Park, representing the largest (and only the second) addition to the park since it was created in 1935.